I took my Mk4 roadster to a great local Early Rodders show on Saturday morning. With a few spectators standing around after the show I tried to start my car and it would not fire. My friend started giving me grief about flooding it. After some trouble shooting we determined that my fuel pump was not working. Checked the fuses, relays and finally the connection at the fuel tank. It was not immediately obvious but eventually we noticed the melted nylon. Plugged it on and off a few times and the pump fired up. Made it home and when I went to check the connection it was really hot. I do not know the root cause but I do know that my friend and I have experienced the exact same failure in under 5000 miles of driving. 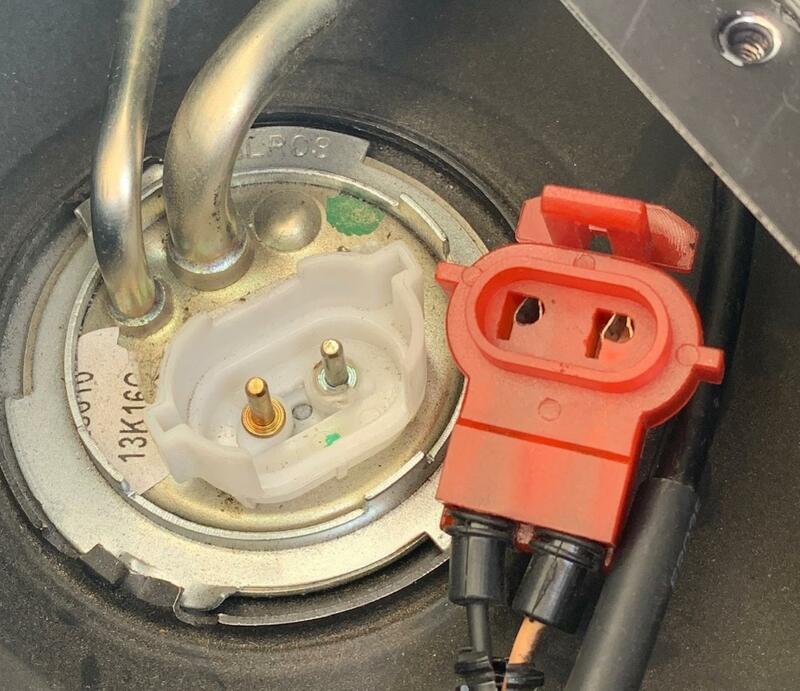 The only thing I can think of is that our fuel pumps are high performance and perhaps overloading the connector. Both of these pump assemblies came from HighFlowFuel (Now Quantum Fuel) and assembled by them for our application. This is pretty scary to me as I do not know how close we got to having a fire at the fuel tank. I am in contact with HighFlowFuel and also Promracing as both companies sell very similar assemblies for high performance applications. So far I am getting the famous "never seen that before" BS. Here is a short video showing the loose ring terminal on the underside of the hanger. 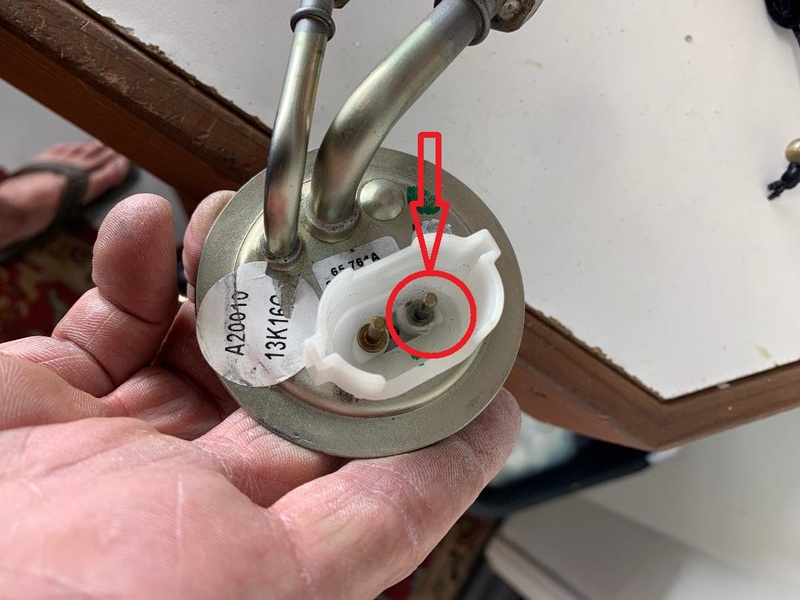 Here you can see the ring terminal that has come loose and also the insulation on the wire that is starting to burn from the heat. Last edited by CDXXVII; 04-14-2019 at 11:41 PM. Wow, glad the fire scenario was averted. Sorry for all your troubles lately, but at the same time this should be an easy fix and back on the road just in time for sunny days and summer. Levy Stage 4 (347) & Levy T5 /Mass-flo EFI / Wilwood Brakes / Paint by J. Miller (Lexus Indigo Ink) / Custom hood louvers with aluminum plating by Metal-Morphous / Engine turned dash bezels. As I always say, “once is an event, twice is the birth of a pattern.” Hopefully it leads to better quality control before someone loses their car or their life. What is the nominal flow rate of the pump that High Flow Fuel installed? It appears they are using the stock 1/4" OD return port on the stock 1994-1995 Pump hanger. Chris at Pro-M was the first to do the experiment/demonstration that trying to get a 255lph or higher flow rate pump to pump through the 1/4" return is not a good idea due to aeration of the fuel in the sump and back pressure exceeding the set-point of your fuel pressure regulator. Maybe it also puts an excessive and continuous load on the pump and the current drawn caused heating of the connector pin. I recommend backing down to a 255 LPH pump and a high flow fuel return (Breeze 70750) or a 190lph pump and you can get away with your existing return. The 190lph pump (Walbro GSS242 supports 470hp at 13.5v with a 10% safety factor) or get a Pro-M hanger which has 3/8" supply and 3/8" return and you can use your existing pump. Hope that helps and no I have not seen an overheated fuel pump connector before. 2005 FFR Mk3 Roadster, 302/340hp, MassFlo EFI, Breeze Pulleys, T5, Aluminum Flywheel, 3-link rear with Torsen Diff and 3.27:1 gears, Power Steering, Breeze Front Sway Bar, SN-95 Spindles with outboard SAI Mod, Breeze Battery Mount, QA1 Externally Adjustable Shocks, Quick Release Steering Wheel, Vintage Race seats, GM Arctic White, Sky Blue Scoop, Hidden Hinges, Billet Aluminum Side-view Mirrors, 2,183lbs wet. 1967 Mustang Fastback, Dark Moss Green, black interior, '67 14" styled steel wheels, 2000 Explorer 302 w 5.0 Cam, Quickfuel 450 CFM, 289 Hi-Po Dual exhaust, C4, lowering springs w Shelby drop. I just received an email back from HighFlowFuel and they have offered to replace my assembly with their upgraded unit. 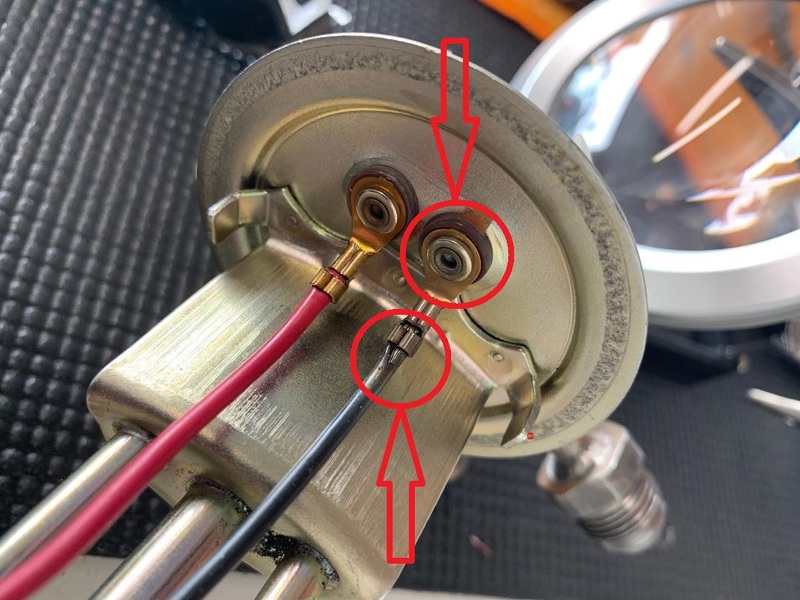 Much like PromRacing, HighFlow has upgraded the connector and wire along with up sizing and lengthening the return fuel line. I am going to drive out and pick up my new assembly from HighFlow in Ventura on Wednesday. Not a huge drive and I always prefer to deal with people in person. My other concern is that the wiring provided in the Ron Francis harness is not large enough for my application. I did not think it would be a huge deal as I only went up to a 255LPH pump. I am considering adding a relay near the fuel tank and taking a #12 gauge wire directly from the (trunk mounted) battery to the fuel pump via a new fuse and relay.